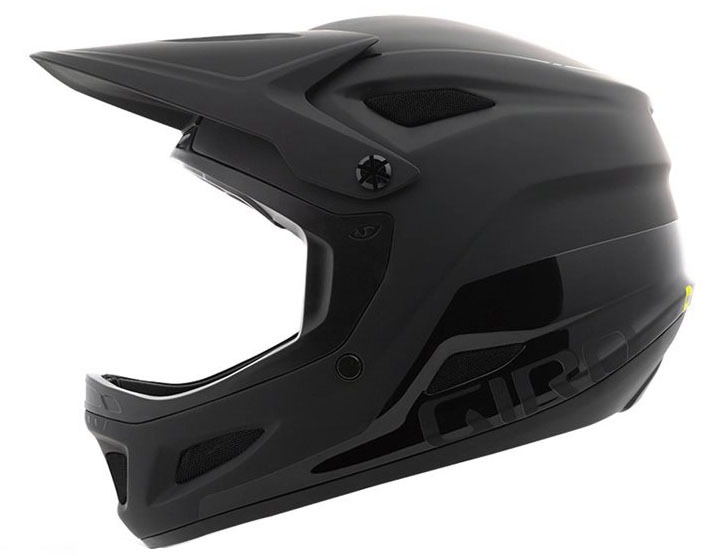 The Disciple MIPS helmet has been built to meet DH standards as well as the demands of freeride, downhill and enduro riders. Constructed with a fiberglass shell, plush interior padding, and vented brow ports for comfort. The integrated, breakaway P.O.V. camera mount plus built-in speaker pockets let you dial in your sound and images. While all Giro helmets are designed to reduce the impact energy as much as possible, the addition of MIPS reduces the rotational forces. Giro believes that helmets equipped with this technology can reduce the amount of rotational force that may be transferred to rider's brain in certain types impacts. Fiberglass shell with EPS liner. Very good looking helmet and really comfortable. Price makes it even better ! Great helmet, fits well. It dosnt have as many vents as the other big name brands (TLD, Fox) but is the best bang for your buck helmet out there. Fits a little large. Had a medium and felt to small, ordered a large and feels a little to big. But rather a little big, when riding enduro races. Cool looking helmet at great price. Jenson was quick delivery and had no issues with shipping. I ride Giro road helmets and the Disciple fits just as my other Giro helmets. The integrated GoPro mount was a nice touch. I bought this helmet because I was looking for a full-face for park riding. It's a very comfortable and light helmet which I love. The included breakaway camera mount is a huge bonus, it makes it very easy to add your camera without worrying about adhesives and what not. Also, the emergency removable chin pads are genius - I hope that I never have to use them but that feature is super nice. Two thumbs up. Style, color, and fit, it has what I’m looking for. Great fit, great finish, very comfy and not too hot. And great deal as well.